After three children I would say I have changed my fair share of diapers and then some. I like having a dedicated place to keep all those essentials for baby. When it is 2 o'clock in the morning and your operating off of about 2 hours of sleep, the last thing you want to do is go searching for that misplaced diaper cream and wipes. 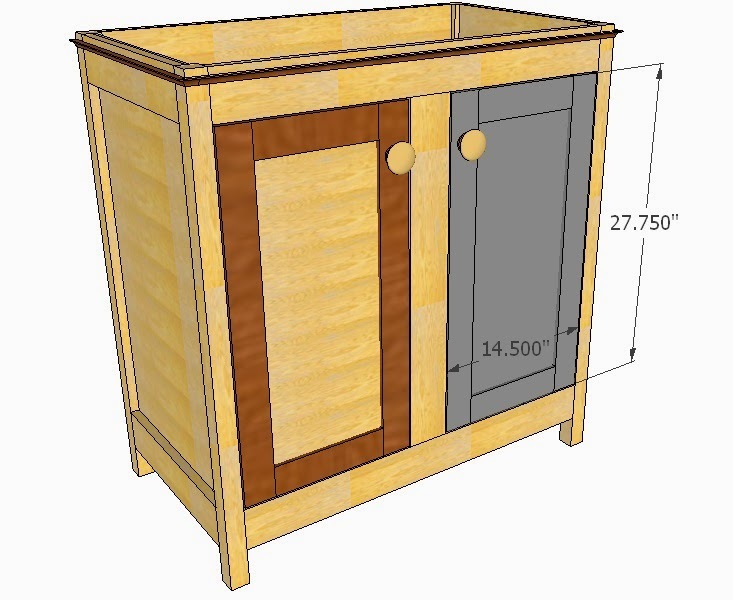 Check out this design for a DIY Baby Changing Table. 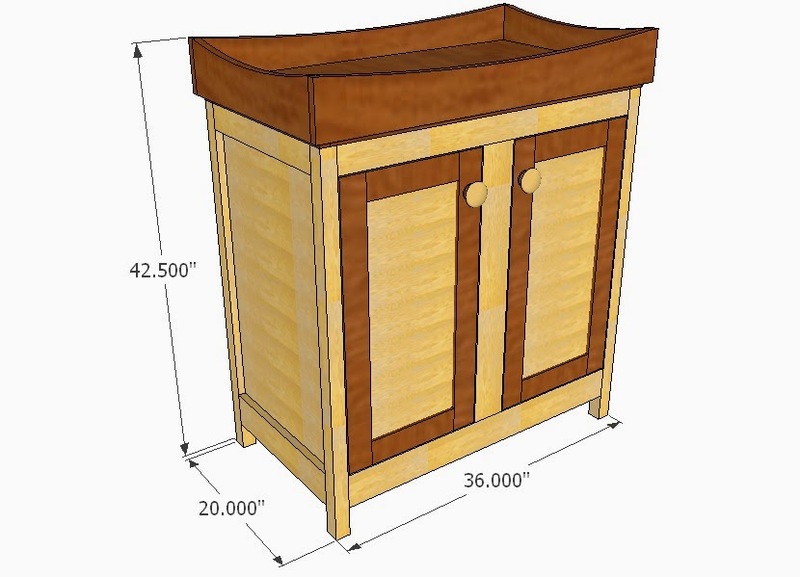 It features a shelf that is behind two inset style doors making cluttered spaces disappear. The top platform has extra high sides to help prevent baby from rolling off. 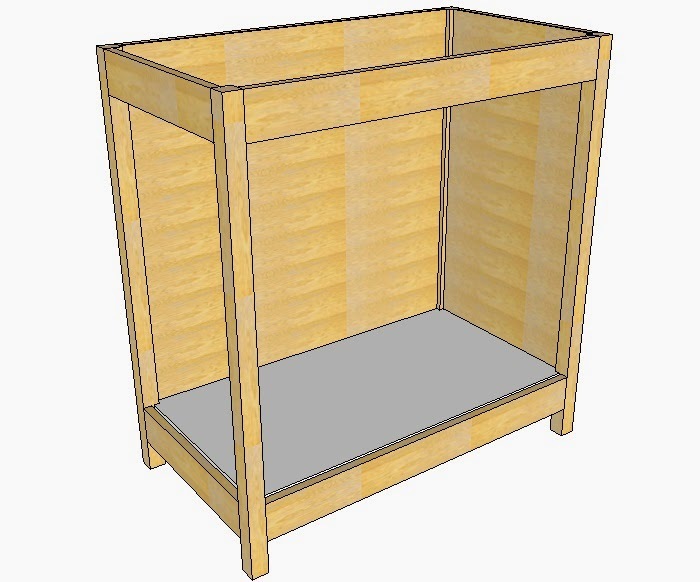 This baby changing table is wide enough for you to place a changing pad on top and still have room for you to place your changing supplies such as a box of wipes and other essentials at the foot of the pad. 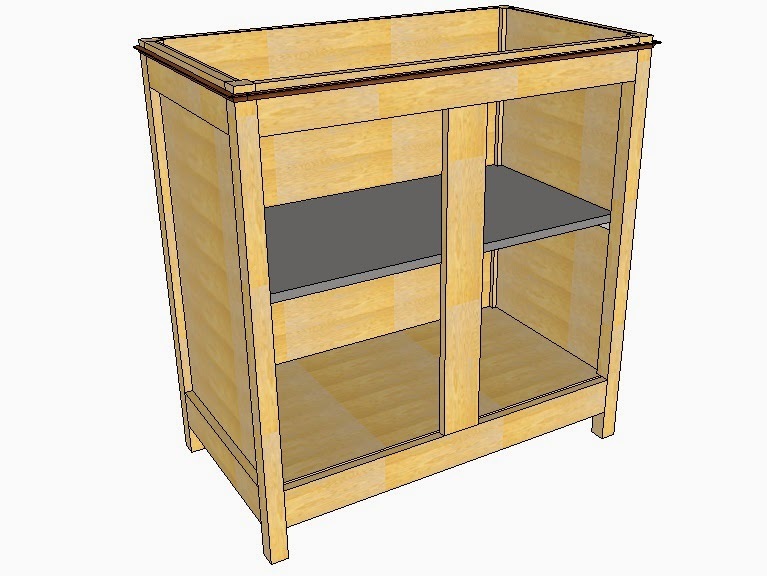 4 Legs @ 38" x 1.5" x 1.5"
2 Side Panels @ 35" x 17" x 1/4"
1 Back Panel @ 35" x 33" x 1/4"
1 Middle Shelf @ 34" x 17.5" x 3/4"
1 Bottom Shelf @ 34" x 18" x 3/4"
4 Scrap Pieces @ 3" x 1"
4 Door Stiles @ 27.75" x 2.5"
4 Door Rails @ 9.5" x 2.5"
2 Door Panels @ 23.25" x 10" x 1/4"
2 Front and Back Rails @ 37.5" x 5.5"
2 Side Rails @ 20" x 5.5"
1 Top @ 36" x 20"
2 Ledges @ 36" x 1/2"
2 Ledges @ 19 x 1/2"
You can purchase 2x2's or rip some 2x4's in half on the table saw. Then cut to length the four legs. Cut to length the top and bottom rails for the front and back. Attach with my DIY Dowel Jig. 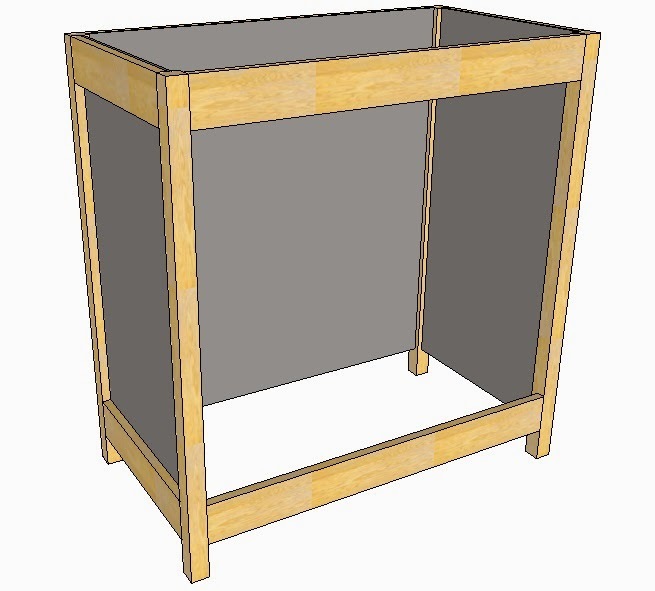 Click here for that project build and video or use pocket hole screws. 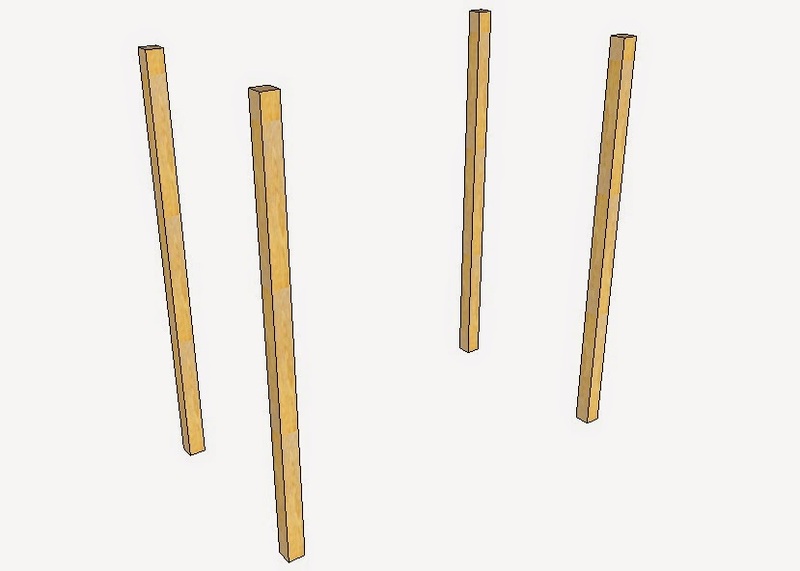 Cut pieces of lumber then glue and tack 3/4" below the top of the bottom rails on all four sides. the length is not critical here. Just get close on each side. These pieces will never be seen. Cut to length the top and bottom side rails. Attach to the front and back pieces by way of the same method mentioned earlier. Attach the side and back panels from the inside of the carcass with glue and brads. Cut to size the bottom of the cabinet and tack in place with glue and brads. Don't forget to cut 1/2" x 1/2" notches in all four corners. 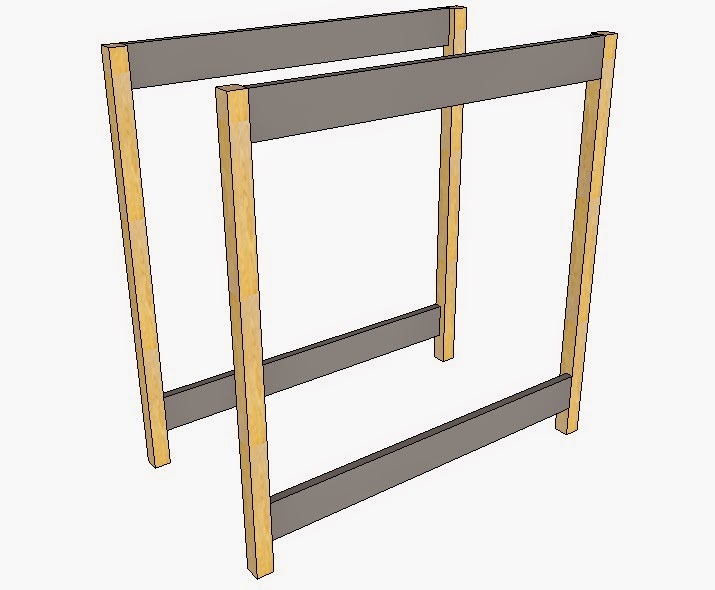 Attach the center door dividers to the front rails using Pocket holes. 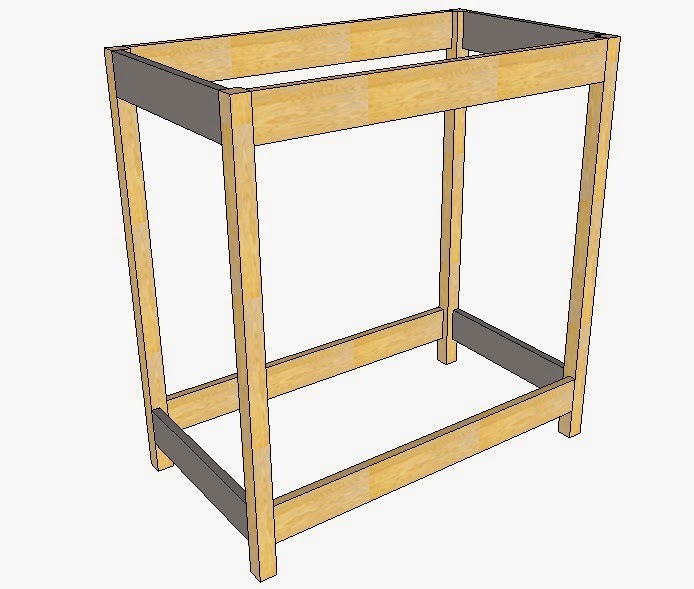 Conversely if you are using something like my DIY Dowel Jig you should attach this piece to the top and bottom rails before you attach the top and bottom rails to the legs. However, it is better to leave it until now and attach using pocket hole screws so that you have a completely open front in which to work on steps 4 and 5. Measure and mark 1/2" down from the top of the legs and attach with brads the trim pieces that go under the top. 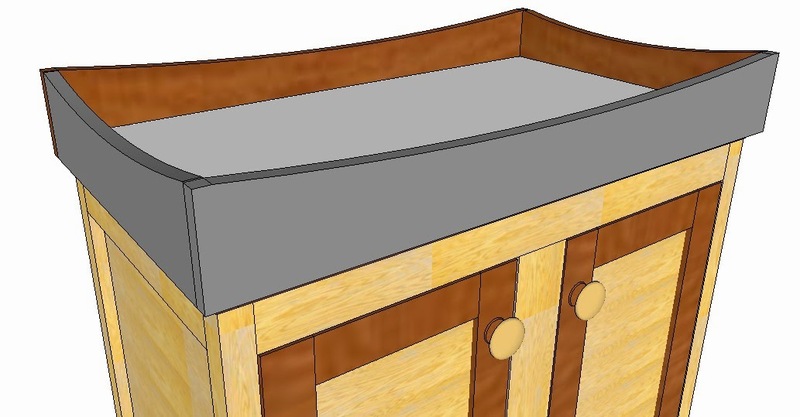 TIP: When measuring for a mitered piece; measure the length needed on the side that will go against the project. That will be your short side. Mark a 45 degree line from their to the outside of the piece. The outside of your trim piece should be longer than the inside. Cut four scrap pieces of lumber to about 3". Glue those to the desired height of the shelf. Wait for glue to dry. If you tack them in place be sure to clamp the pieces in place and tack from the outside. 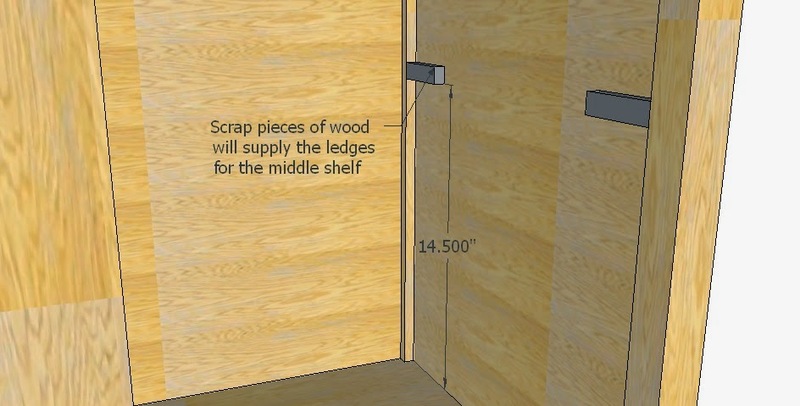 Fit the shelf in place on the ledges created by the four pieces of scrap lumber. Remember to cut notches in the back side of the shelf only. The front side fits flush to the front legs. Assemble and hang the front inset doors. The gap around all sides should be 1/8". I will put together a YouTube video on door assembly and update this post with a link when finished. Check back often. Cut to length all four sides of the top. I have added a few curves to the design but they are not necessary. Measure from the bottom of the side pieces 1/2" up. The bottom of the top is glued and tacked in place on 1/2" pieces of lumber creating a ledge like the one for the bottom of the cabinet. 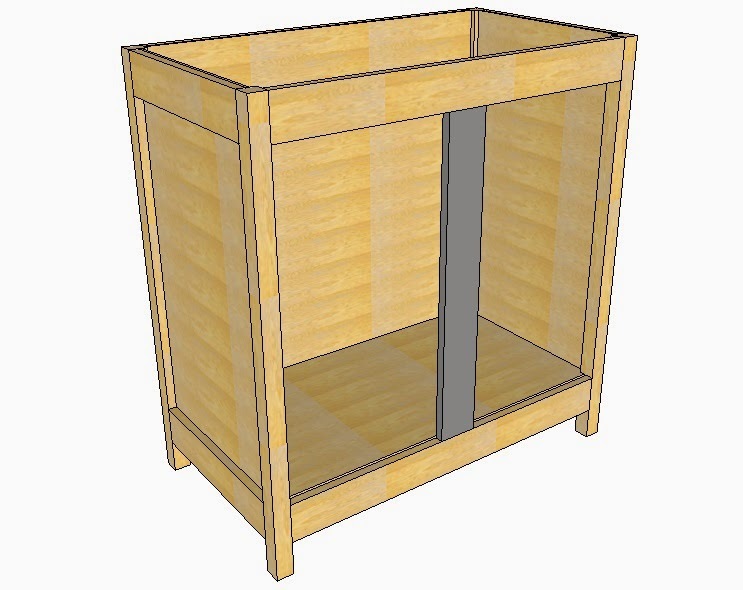 This creates an overhang or lip around the underside of the top unit. You can then seat the top over the legs and rails, meeting the trim pieces attached earlier. 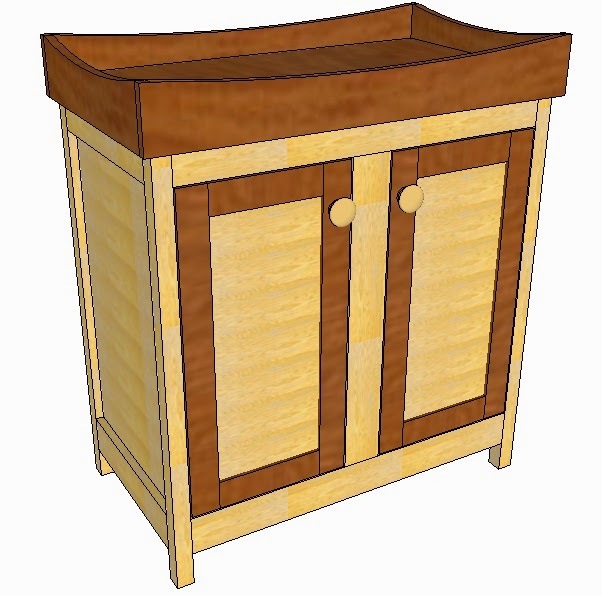 I have a few other designs for changing tables I would like to show case as well. Come back often as new design plans are posted every Monday, Wednesday and Friday.